While the Oscars Ceremony is an ideal chance to get inspired by the stunning gowns and pretty hairstyles and makeup, the beautiful accessories are also an essential part of the ultimate red carpet look. At this Oscars 2013 female celebrities demonstrated the dazzling jewellery, shoes and clutches that perfectly suited their flawless outfits. Let’s take a look at the red carpet accessories from the Oscars 2013. Jennifer Garner complemented her dress with the stunning platinum and diamond jewellery by Neil Lane. The ensemble included the earrings, bracelet and a 200-carats necklace with a $2.5 million price tag. Jennifer Lawrence adorned her back with the 74 –carat Chopard diamond necklace. In the hands she was holding the Roger Vivier Boite de Nuit crystal-embellished clutch. 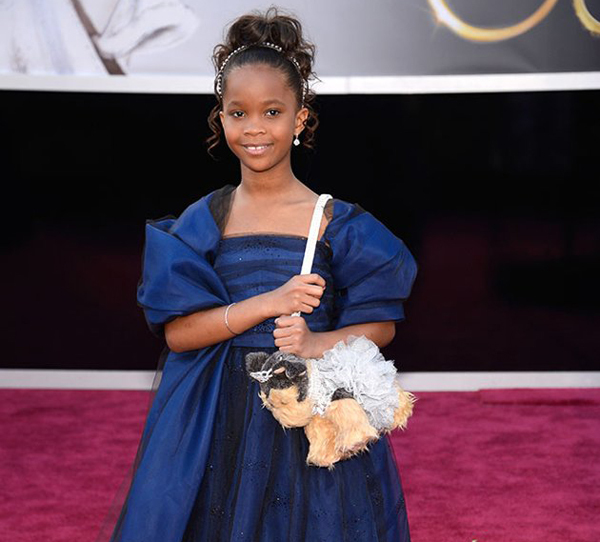 Quvenzhane Wallis’ purse in the form of the puppy deserves the title of the best accessory of the ceremony. Jane Fonda accessorized her bright yellow Versace gown with the matching chandelier earrings by Chopard. Anne Hathaway also decided to make an accent on the back with her Tiffany & Co necklace, which accentuated the crisscross straps on her Prada gown. Sandra Bullock looked original as she complemented her hairstyle with the Harry Winston diamond hair clip. Catherine Zeta Jones accessorized the gold Zuhair Murad gown with the exquisite earrings by Lorraine Schwartz. Naomi Watts went for the sparkles at the Oscars. In order not to overload the richly sequined gown, Naomi picked the Neil Lane diamond drop earrings with simple design. Jessica Chastain complemented the sparkling Armani Prive gown with the Harry Winston jewellery with vintage feel. Helen Hunt went for the Martin Katz necklace, bangles and earrings, which is worth $700,000. Amy Adams balanced her stunning gown with the Mouawad earrings with the simple design. Nicole Kidman demonstrated her passion for the ornate items as she teamed the sequined gown with Fred Lighton earrings. Charlize Theron looked classy and elegant as she accessorized her flawless white gown with Harry Winston stud earrings. Reese Witherspoon went both for the dress and the earrings by Louis Vuitton. Having the bustier of the gown decorated with the floral appliqué, Zoe Saldana made the perfect match with the Neil Lane pearl drop earrings. Jennifer Aniston accessorized the floor-length red gown with the Fred Leighton chandelier earrings, however the big diamond ring on her finger was the center of everyone’s attention. Samantha Barks vivified the simple long dress with the gold and diamond pendent by Forevermark.